Last month, Joe Albanese, a research fellow at the Institute for Free Speech, wrote in these pages that House Bill 1524 is an attack on the First Amendment to the U.S. Constitution, i.e. free speech (Monitor Forum, Feb. 16). I thank Albanese for bringing HB 1524 to the public’s attention. In its own flawed way it addresses two issues that undermine our democracy and alarm a great majority of voters: big money in politics and gerrymandering. Regarding big money in politics, supporters of this bill seek to undo the effect of the activist U.S. Supreme Court decision, Citizens United, which declared corporations to be people and money to be free speech. The result of this decision has been the unleashing of torrents of money into politics with little transparency or accountability. It has given wealthy interests a bullhorn to exercise their “free speech” (often without us knowing who is “speaking”) while the rest of us have been reduced to whispers. Gerrymandering refers to the redrawing of voting district boundaries (sometimes in contorted ways) for political advantage by the party that carries the vote in a census year (ends in a zero). The idea is to create as many uncontestable districts as possible for your party. With advances in technology this can now be done with surgical precision, as you have heard in North Carolina, Pennsylvania and Wisconsin. It allows politicians to choose voters rather than voters to choose politicians. Albanese’s contention is that the Citizens United decision is, in fact, correct – that money in politics is free speech and therefore should be protected. People and organizations should have the right to support candidates of their choosing and advocate for policies through lobbying their representatives. Efforts to control this flow of money would undermine – or even threaten – citizen participation in the political process. The moment one equates money with free speech, however, shouldn’t it meet the standards of free speech in the public square? Doesn’t free speech require that we know who the speaker is? This is called transparency and accountability. If supporting a candidate with money is free speech, then shouldn’t we know who the donors are? Shouldn’t we know who’s behind the proliferation of ads during the campaign season as well – if money spent this way is free speech? The American people need to know who’s “talking.” Sometimes it’s not easy to find out: even corporate shareholders have found it difficult to get an accounting from their companies on their political spending and lobbying. This is especially true with big donors because, at the very least, they can expect to have the ear of the candidate receiving the donation. At worst they can influence votes, the writing of bills and how those bills proceed. How can we establish that a quid pro quo has occurred – i.e. corruption – if there is no transparency? Freedom of speech is a right not without consequences or responsibilities. In the public square, others have the right to disagree with you, criticize you and question your motives. We have a free press to investigate truthfulness and corruption and a government to assure that laws are not broken. It’s the public’s job, in turn, to hold the press and government accountable. Then there’s dark money, “a term that describes funds given to nonprofit organizations – primarily 501(c)(4) (social welfare) and 501(c)(6) (trade association) groups – that can receive unlimited donations from corporations, individuals, and unions, and spend funds to influence elections, but are not required to disclose their donors” (Wikipedia). In turn, these nonprofits can give their money to Super PACs, which can spend it without disclosing those nonprofit donors. This kind of spending, largely for ads on social media, radio and TV as well as mailers, has exploded over the last two election cycles. The Russians, we have learned, have exploited this venue, which opens the possibility of even darker money being spent by American interests without our knowledge. Google, Twitter and Facebook clearly don’t pay close attention to their own platforms. Who can doubt that the tax reform bill wasn’t a big, wet kiss to wealthy interests who helped elect the candidates of their choosing. Koch Industries, for instance, will be receiving a million dollars in the tax windfall; the Koch brothers have already pledged $400,000 to make sure those votes are rewarded (though they would use different wording). Albanese also says that corruption is hard to define and difficult to prove. But we know what it looks like. In 2008 it was clear that Wall Street had defrauded the American people on a massive scale, precipitating a huge recession. Nobody of substance was ever convicted of a crime, and the fines that were levied were trivial compared to Wall Street wealth. Profits were privatized, and losses socialized; Wall Street was bailed out, and Main Street left to itself. Ten years later the protections put in place are being rolled back, and regulations are being swept away. Banks are still too big to fail. One random factoid: In the past year, members of the House Financial Services Committee received $10 million in contributions from banks, financial institutions, insurance companies and accounting firms – the tip of the iceberg. The NRA funds many campaigns of candidates who support their pro-gun agenda and has a huge war chest to work against candidates who don’t. When a Sandy Hook, Las Vegas or Florida happens, it flexes its muscles, engages its members and strangles gun control legislation. Every candidate knows how powerful an effect their money has on elections. The result: inaction. Is there an unhealthy imbalance of money in politics? 1) In 2012, fewer than 200 Americans – a miniscule 0.000063 percent of the population – contributed 80 percent of all Super PAC donations. 2) Since Citizens United, corporations have spent hundreds of millions of dollars on political attack ads at the local, state and national levels. 3) Wall Street lobbyists spent $1 million in one day to try to keep the Consumer Financial Protection Bureau from getting off the ground. The fiduciary rule has yet to be put into effect. 4) In 2014, the Koch Brothers spent more money in one state, North Carolina, than all Democratic groups combined. The perception on Main Street is that wealthy interests “own” our government – government by the rich for the rich – and with good reason. There are currently several versions of amendments to the U.S. Constitution to undo the damage done by Citizens United, which severely restricts the government’s ability to regulate money as a corrupting influence in politics. Wealthy interest will do anything to stop them. Republican leadership in both Houses obviously like the status quo because they will not move on any of these amendments – ditto on the state level – unless we the people pressure them to. Until that happens, campaign finance reform is DOA. Have you surrendered your country to wealthy interests and to partisan politics (e.g gerrymandering)? We can start to take it back by asking our candidates about their inaction and then send a message in November. Originally posted by The Concord Monitor on 03/04/2018. Last week, as our country faced yet another mass shooting—this time at a high school in Parkland, Florida—our President, Daniel G. Newman, spoke with Jane McMillan of KCBS radio about the political power that special interest groups like the NRA wield over elected officials and the legislative process. In the interview, Jane and Dan discuss why—despite 88% of Americans supporting background checks on all gun sales—our elected officials are stuck at a political impasse in terms of curbing gun violence. One major reason for the political gridlock is the NRA, the nation's largest dark money group, which spent an estimated $35 million to influence the 2016 elections. Because the NRA does not disclose their donors, American citizens have no idea who is spending money to control our country's gun policy—it could be anyone from gun manufacturers, to wealthy individuals, to foreign governments. There is a rumor going around that Brendan Kelly is distantly related to the Flying Wallendas, up on that tight wire — one side's ice and one is fire. He doesn't like the money in politics. He won't be in politics without the money. He takes political action committee money, but he doesn't like it. When he gets to Congress the first thing he will do is change the constitution to get the money out of politics, a corrupting influence that is a top threat to democracy. The state House voted to keep dark money dark. Who would want to keep secret those who are trying to buy influence in elections? Apparently, all but one of the Republican members of the House, as the vote to send the bill to the Senate went along party lines. Dark money is the name given to campaign contributions that do not have to be disclosed. A contributor gives money to a nonprofit organization, and that nonprofit organization makes a contribution to a candidate, a political action committee, or for or against a ballot proposition. Nonprofit organizations are not required to disclose the names of contributors or the amounts contributed. And best of all for those seeking the ultimate in influence, there’s no limit on how much an individual, organization or corporation may contribute to the nonprofit organization. The public has no idea who is trying to buy influence, and that’s very scary no matter what side of the aisle you sit on. According to its sponsor, Vince Leach, R-Tucson, HB2153 is designed to prevent cities and towns from setting up rules requiring campaign contribution disclosure. If the state law is already in place, cities, towns and counties can’t enact any conflicting law. You read that right. Arizona, the state that routinely decries federal mandates and screams for local control at every opportunity has, once again, decided that the government closest and most impactful to the people should be handcuffed and all decisions made at 1700 W. Washington in Phoenix. This is no different than Bisbee’s plastic bag ban and the Legislature’s effort to strip Bisbee (and any other county, city or town) from moving forward with what its residents want. A look at Leach’s campaign finance filings (at www.SeeTheMoney.com), shows an overwhelming number of political action committees donating to his various campaigns over the years. And while PACs are required to disclose donors, the only notation required when a nonprofit has donated to the PAC is the nonprofit’s title — not who donated to the nonprofit. We’re in a weird place in this country right now. Even if our president won’t acknowledge it, we know Russia is spreading disinformation with the purpose of destabilizing the Democratic process. Russia is blurring the distinction between fact and fiction, making us all question every bit of information we gather from our smartphones. Considering we can’t even trust our Facebook feeds, do we really want a situation where we don’t know who is trying to buy our politicians?Do we want politicians unwittingly taking money from enemies of this country? Worse still, do we want our politicians to willingly be compromised for the money it takes to continue being re-elected? Nothing good for the people occurs in the shadows; transparency is the hallmark of a democracy. This bill needs to be defeated in the Senate. 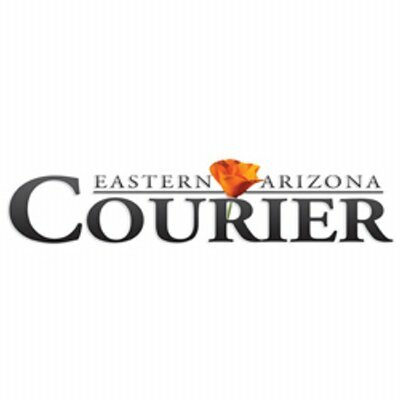 Originally posted by the Eastern Arizona Courier on 02/23/2018. Regardless of party, I want to know who is donating large sums of money into a candidate’s campaign. Don’t you? If you don’t, you should. After all, big money equals influence. Private prison corporations gave Ducey big bucks, and they got thousands more state prison beds. After all, that was the first thing added to the 2014 State Budget while Ducey was cutting education more than any other state. During the campaign season leading up to the primary election in August, someone, and we still don’t know who, paid for flyers to be circulated in our community that contained inaccurate and incomplete information about mayoral candidate Mary Beth Hrin. Later, in the general election last, dark money was back, with an attack against mayoral candidate Jean Wilcox. Again, we don’t know who paid for those flyers that were intended to influence that election. 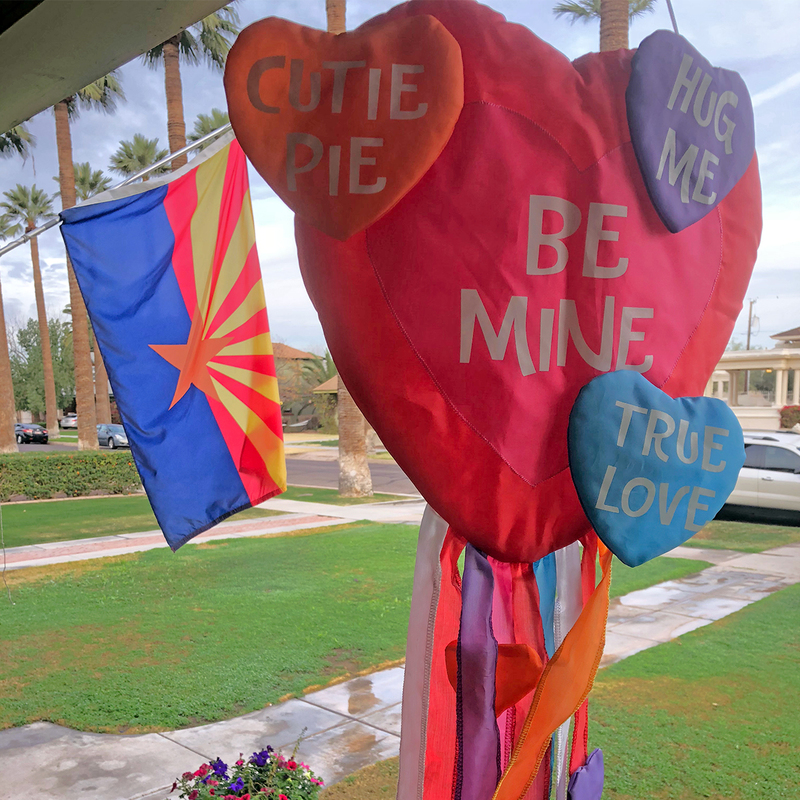 The Arizona House of Representatives passed a bill on Tuesday that protects the anonymous people who pull strings behind the curtains during local political campaigns. House Bill 2153 appears to be a reaction to Tempe’s plan to be the first city in Arizona to put a spotlight on dark money, forcing nonprofit groups that spend more than $1,000 in a city election to name the sources for the money. Tempe voters are scheduled to consider that proposed charter amendment in a March election. Lawmakers in Phoenix who support HB 2153 want to protect dark-money sources in local campaigns say they worry that people who contribute money to political campaigns could be harassed for their political views if their contributions were made public. That’s the lawmakers’ argument for allowing them to hide in the shadows. Prescott Rep. Noel Campbell was the only Republican in the House to vote against the bill. News media tries to avoid anonymous sources because we know that when you have to put your name on a quote or any other information you provide, you’re more likely to provide information that is accurate. If you can say anything and not have your name attached, then the information you provide is more likely to be misleading, inaccurate, or even a vengeful lie, intended to harm someone else. The same argument should be used in regards to political contributions. If a contributor to a campaign is allowed to hide in the shadows, and the public never knows the identity of that contributor, they are unlikely to ever be held accountable for any falsehoods they promote. Ask Mary Beth Hrin how that feels. When the U.S. Supreme Court allowed corporations to give money to political campaigns, it said that full disclosure of the contributors would keep them from abusing that ruling. Now, Arizona lawmakers want to make it easier for groups and people to contribute a lot of money to sway elections without disclosing who they are. You don’t need to be a first-year political science major to know this is a horrible development for democracy. This bill encourages people to donate money anonymously, so they won’t be held accountable for any misinformation they use in election materials. We applaud Rep. Campbell for voting no on HB 2153 and urge all state Senators to reject this bill and the harmful impact it will have on our democracy. Our legislators should be working to rid us of dark money, not encouraging it to flourish. Originally posted by The Daily Courier on 02/15/2018. 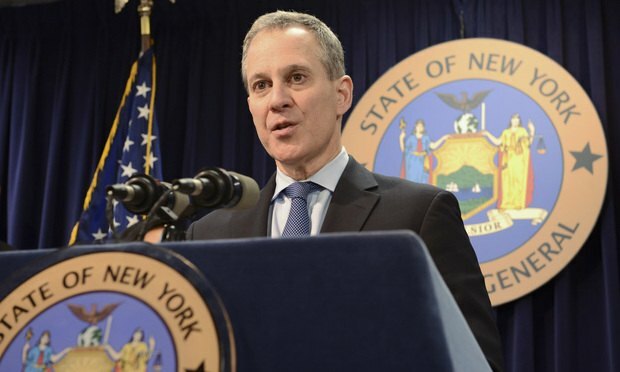 A challenge to the New York attorney general’s oversight of charitable organizations and their donors failed to convince the federal appellate court in Manhattan that First Amendment protections were being trod upon. Originally posted by the subscription-only www.law.com on February 15, 2018. On Monday, Wanhua joined the American Chemistry Council, a lobby organization for chemical manufacturers that is unusually aggressive in intervening in U.S. politics. For example, in 2012 the ACC was the largest single donor funding last-minute ads attempting to save former Rep. Eric Cantor, R-Va., then-House Majority Leader, during his losing primary campaign. The ACC donated $50,000 to a super PAC supporting the 2014 campaign of GOP Sen. David Vitter of Louisiana for the state’s governorship. And while lobbying to revamp federal chemical safety standards in 2015, the ACC simultaneously aired advertisements in support of key legislators who were then crafting an industry-friendly version of the legislation. Wanhua Chemical was founded as Yantai Wanhua Polyurethane Co. in 1998. Though the firm underwent a public offering about two years later, the ultimate controlling shareholder of the firm is a division of the Assets Supervision and Administration Commission of China, the government entity that oversees state-owned enterprises. Despite the nationalistic name of the organization, the ACC announced that Wanhua would join the group as a regular dues-paying member. Other dues-paying members of the ACC include BASF, Dow Chemical, Huntsman Corp., and Shell Chemical. The ACC’s membership guidelines state that a corporation may join if it “manufacturers and sells ‘chemical products’ in the United States, or manufacturers chemical products abroad but sells them in the United States.” Wanhua, notably, has pledged to spend over $1 billion on a new plant in Louisiana currently under construction. Wanhua and the ACC did not respond to requests for comment. The 2010 Supreme Court Citizens United ruling and related decisions made it possible for corporate trade associations like the ACC — known as nonprofit 501(c)(6) corporations — to spend as much as they want directly advocating for or against candidates for office “so long as that is not its primary activity,” the IRS says. This in turn made such organizations an ideal conduit for foreign money to influence U.S. races. It is formally illegal for foreign nationals — which includes foreign individuals, corporations, and governments — to spend any money attempting to influence U.S. elections. Therefore, any contributions the ACC accepts from a foreign corporation like Wanhua must theoretically go to an account separate from that which the ACC uses for political spending. But whether this actually happens is extremely difficult for the public to find out, and even if the ACC is following the law, it would be essentially irrelevant. The ACC is by no means the only trade association to take advantage of Citizens United: After the decision came down, a number of organizations in the U.S. with foreign-owned members began spending corporate money on elections. The U.S. Chamber of Commerce, another 501(c)(6) with foreign corporate members, now routinely spends directly on congressional elections. Trade associations are in some ways the perfect vehicles for foreign money: Not only do they not have to disclose donors, most already maintain sophisticated lobbying operations, so that campaign cash is targeted in a way with the most political impact. The American Petroleum Institute is another trade group with foreign members that spend big on U.S. elections. Wanhua appears to be the second partially state-owned corporation paying dues to ACC. SABIC, the majority state-owned Saudi chemical company, is also a dues-paying member. In addition to Fisher, other campaign legal scholars noted that Wanhua’s decision to join the ACC represents another worrying example of creeping foreign influence. “The ACC’s spending is likely merely one example of foreign money that has or will be spent to influence who we elect as our representatives,” says Jessica Levinson, an ethics expert and professor at Loyola Law School in Los Angeles. The significance of Wanhua contributing dark money to the ACC can be seen in a 2016 Intercept series on foreign influence on U.S. elections. The Intercept revealed that a Chinese-owned real estate company had directly donated to the super PAC supporting Jeb Bush’s presidential campaign. The decision to donate was made by Chinese nationals living abroad using a California-based subsidiary of their company. The election attorney advising the Bush super PAC even wrote a legal memo outlining how it was permissible to receive a donation from a foreign-owned firm. However, The Intercept was only able to track the money flow because donations to super PACs must be publicly disclosed. If the Chinese company had been sophisticated enough to give the cash to Bush’s related dark money outfit, no one would have ever known. Three Democratic FEC commissioners cited The Intercept’s series in a move to strengthen rules governing foreign corporate cash in elections. But any effort to move forward was thwarted by the three Republican members of the commission. Most major enforcement actions do not advance at the FEC because of the agency’s structure — no more than three of the six commissioners can be from the same party — and because GOP commissioners often vote as a block. “Maybe allowing corporations to spend unlimited amounts of money on politics is a bad idea,” said Fischer. Originally posted by The Intercept on February 15, 2018.